Thinner and lighter iPad 5 to be released on March 2013? Just got a brand new iPad 4 for Christmas? Looks like that shiny new tablet might be updated in only 3 months, if rumors prove to be true. 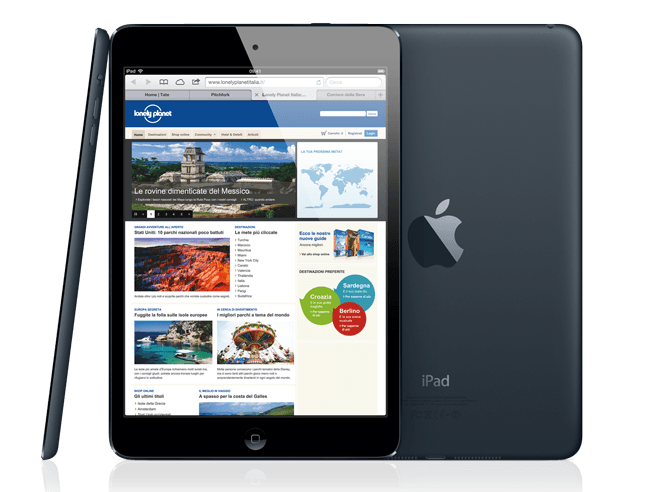 MacRumors is reporting that a 5th generation iPad may be released as soon as this March, 2013. However Chinese news ZOL (CBS Interactive) reported next iPad mini in AppleInsider’s article, according to my inside source, iPad(5th) may be released in March, 2013. Source told that, design of this new iPad will be like iPad mini in detail, and be thinner and lightweight. What’s interesting about this report is the idea of the iPad taking design cues from its little sibling, the iPad mini. I’ve always thought that the iPad’s bezel was a little too big, and the device itself was a little too heavy for long use. The iPad’s design has gone unchanged since the iPad 2, with the Apple instead focusing on upgrading its internals for better speed and wireless capability, as well introducing a Retina display with the iPad 3. If Apple can come up with a tablet that is as thin and light as the iPad mini yet still retain the bigger screen size of the iPad, they could have another hit on their hands. Oh, and introducing iOS 7 with Jony Ive’s fingerprints all over it wouldn’t be such a bad idea either.